The 5 p.m. New Wineskins service and meal is moving to a once-a-month format. New Wineskins will now take place only on the second Sunday of each month. Upcoming services are March 12 and April 9. The Episcopal Society of St. Anna & St. Simeon is an honorary community of elders serving to acknowledge their role as mentors & tradition bearers, as well as to ask for their prayers for the local, Diocesan, and worldwide Episcopal Church, and for wisdom when needed in matters of our congregation. The society is meant as a model for Christian living, to encourage all persons in the Diocese to look toward these elders for images of life lived in the imitation of Christ. The deadline for nominations to the Society of St. Anna and St. Simeon is this Friday, Feb. 17. We are especially seeking women nominees at this point. Feb.–Apr. booklets are available in the Glass Porch, Parish Hall, and Office. The church office will be closed Monday, February 20, for Presidents’ Day. Also, Shannon will be out of the office from February 16 to March 5. Jan and Jacinta will be answering phones while Shannon is away. Come February 28 at 6 p.m. to enjoy fun, food, fellowship, and music at our last fling before Ash Wednesday and Lent. We will have a live band to liven up the festivities—and to maybe even prompt some people to dance. This event is free, so we are requesting food donations (milk, eggs, etc) ahead of time. Please contact Val Brustad at valbrustad@icloud.com for more information about what ingredients are needed. Ash Wednesday, March 1, Mother Joyce & friends will be at Kent Station from 8:30 a.m. to 10 a.m. for “Ashes-to-Go.” Come and be blessed! We will also have ashes in the Chapel at noon and an Ash Wednesday service in the sanctuary at 7 p.m. The Thrift Store has been such a huge success, that beginning March 1, we will be open on Wednesdays and Saturdays, 10 a.m.–4 p.m.! On March 18 from 10 a.m. to 3 p.m. at St. Mark's Cathedral, Mother Joyce will lead a one-day symposium, Healing for Women After Cancer Using Creative Arts Therapies. The symposium will consist of a panel discussion with Dr. Kristine Rinn, medical oncologist at Swedish Cancer Center, and a team of creative artists, counselors and survivors. The event will include opportunities for movement, writing, visual art, and sharing our stories. Bishop Greg Rickel will visit St. James on Palm Sunday, April 9. Anyone wishing to be confirmed or baptized during the Bishop’s visit should talk to the office and Mother Joyce for more information. 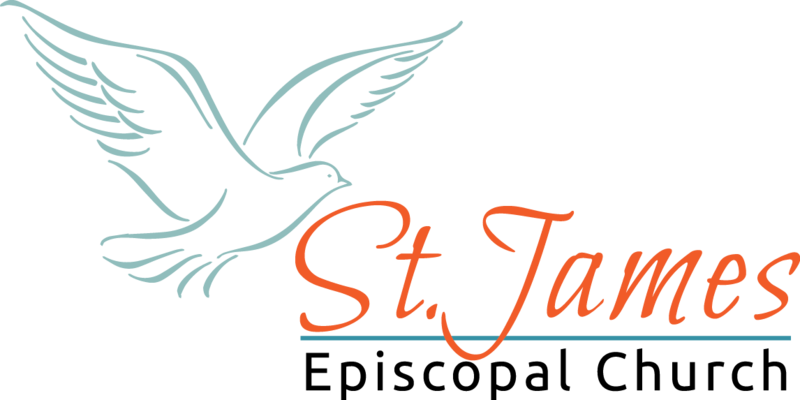 St. James is looking for a Director of Ministries for Children, Youth, and Families. This is a 2/3 time (25 hours per week) staff position, responsible for the development and implementation of programs and activities of faith formation for those under 18 and their families. More information at http://stjameskent.org/job-listing. Dallas Shannon is moving on from his position as Outreach Coordinator in order to take college courses in human services. He would like to make an opportunity for someone to take on this job in his place. Those interested in this part-time position should contact Mother Joyce at jparrymooroe@stjameskent.org.